The Westin Custom Tailgate Mat pairs perfectly with the Westin Custom Truck Bed Mat to give your truck bed the ultimate protective barrier. If you've ever hauled something in your truck bed, you know that scratches and dents can easily happen. 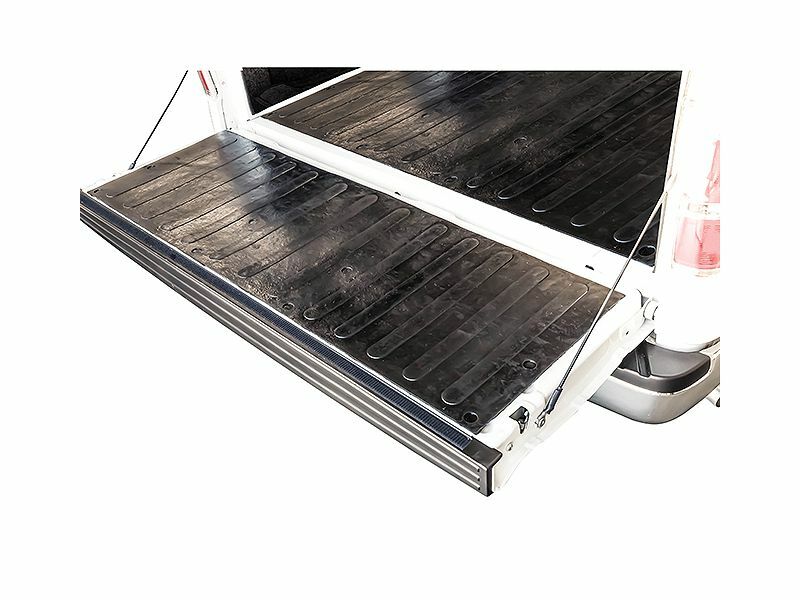 By adding a tailgate and bed mat, you are adding instant protection against unnecessary damage. The tailgates mats are made from 100% recycled rubber. Each is crafted from 5/16 inch thick durable rubber material. Designed to keep your tailgate protected, you cannot go wrong by adding one of these bad boys! Easily install the Westin Custom Tailgate Mat as all hardware comes included. No cutting or drilling required. Proudly made in the USA and backed by a three year warranty. The Westin bed mat is sold separately. Your new tailgate mat is backed by a 3 year warranty against defects in materials or workmanship from Westin Automotive. If you would like further details or need help starting a claim, please don't hesitate to contact our customer service department. The tailgate mat includes hardware to screw into your tailgate. For additional information, or if you have any questions, please feel free to call us at any time that is convenient.